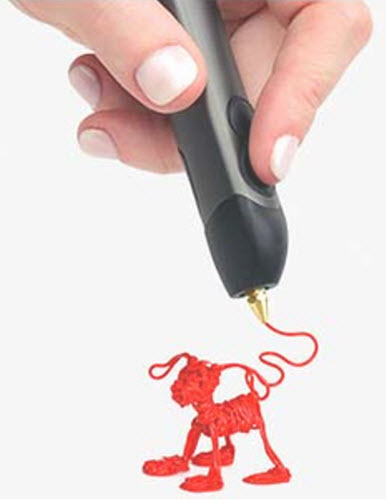 3Doodler - What will you create today! Catalog Home > Site Blog > 3Doodler - What will you create today! 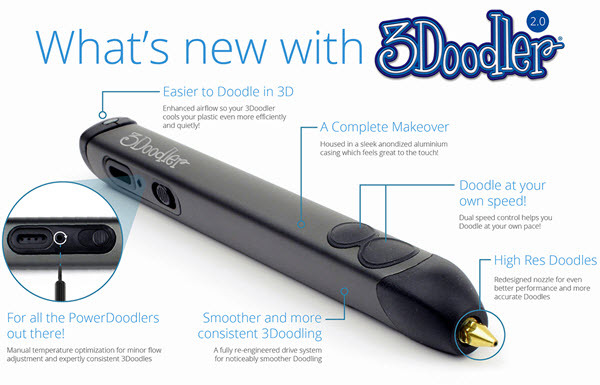 If you can scribble, trace or wave a finger in the air you can use the 3Doodler 2.0. The possibilities are limited only by your imagination and the assortment of colors and materials at your disposal! Compact and easy to use, the 3Doodler extrudes heated plastic that cools almost instantly into a solid, stable structure. The possibilities are limited only by your imagination. Stimulate the creativity of your students with unique projects! Discover your intuitive ability to draw in 3D quickly and easily. Build, Craft, Decorate, Design, Fix, Play, Teach, Write… What will you and your students create? We offer a wide palate of 3Doodler strands (Plastic, Flexi-Plastic and ABS) and are constantly adding new colors and material. The 3Doodler’s community page offers for free, downloadable stencils, how-to videos, and images.